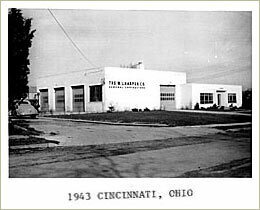 The company was founded in 1938 by William Leonard Harper, a graduate in civil engineering from the University of Cincinnati. The other key player in the early years of the company was his brother John, who looked after the construction of the projects. The company started with employees working from an office on Main Street in the heart of Cincinnati. Early projects included extending the runway at Lunken Airport, concrete placement for the Tailmobile Corporation's facility in Oakley, and a grading and paving project at the Jefferson Proving Grounds for the U.S. Corps of Engineers. The company rapidly moved into subdivision developments, water, sewer and concrete paving. A major turning point for The Harper Company came in the 1950’s, when the firm completed its first section of interstate highway, a portion of I-75 in Cincinnati, from US 123 to the Montgomery County line. In the 1960’s, with the nations Interstate Highway system in full swing, and the expansion at Cincinnati Airport, The Harper Company developed the expertise for high volume concrete paving. 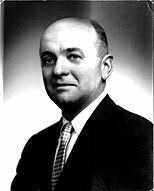 During the same era Mr. Harper developed a secession plan that would allow control of the company to gradually change hands from Mr. Harper to Forrest W. Huff and D.J. Sparks. The foresight of Mr. Harper has allowed the company to move well into the future. By the 1980’s the firm became one of the top 100 privately held companies in Greater Cincinnati. In the mid 1990’s the company built and relocated to new office and shop facilities in Hebron, Kentucky, where it remains today. In the mid 2000’s, due to the down-turn of the economy, the company expanded its reach from Lake Erie to the Gulf of Mexico and from west of the Mississippi River to the Atlantic with projects in South Carolina, Missouri, Tennessee, and Arkansas. Today, The Harper Company is known for its general contracting capabilities, including site improvements, excavation, concrete pavement restorations, and high volume concrete paving.